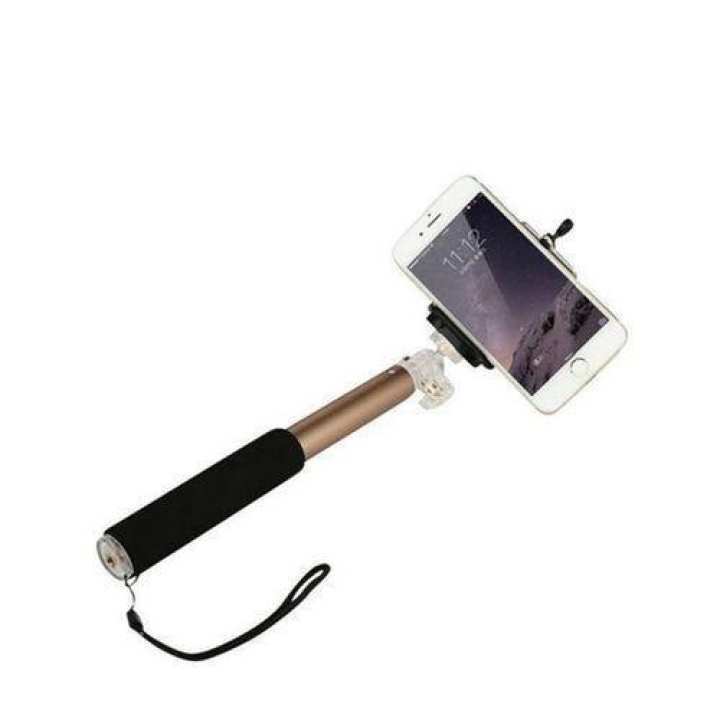 Compatible with: Mobile phone under 6"
This mono-pod with the self-timer button, which will make the process of shooting selfie easier than ever. 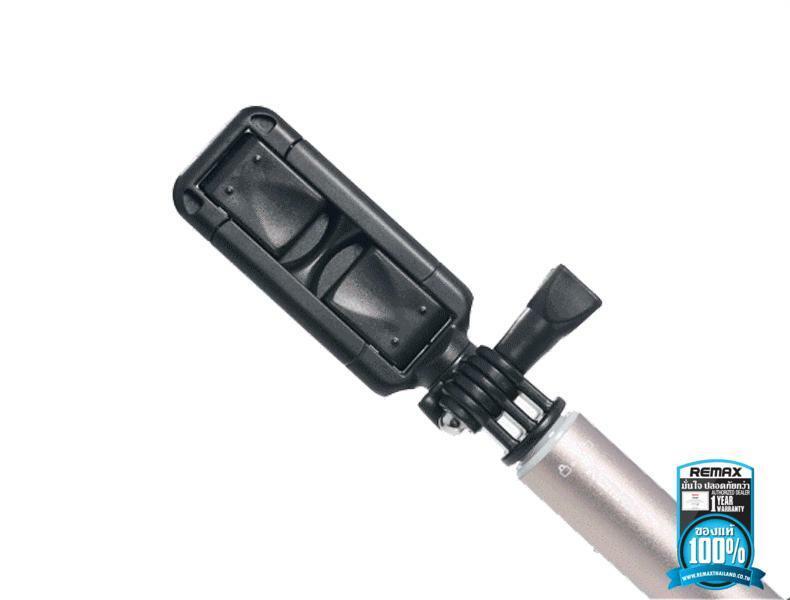 It has a retractable five-sectional structure by which the length can be adjusted from 17.5 to 72 centimeters, which makes self shooting and the current environment is very comfortable new design mono-pod, simply plug into the headphone jack and you can start shooting. No need to use Bluetooth. 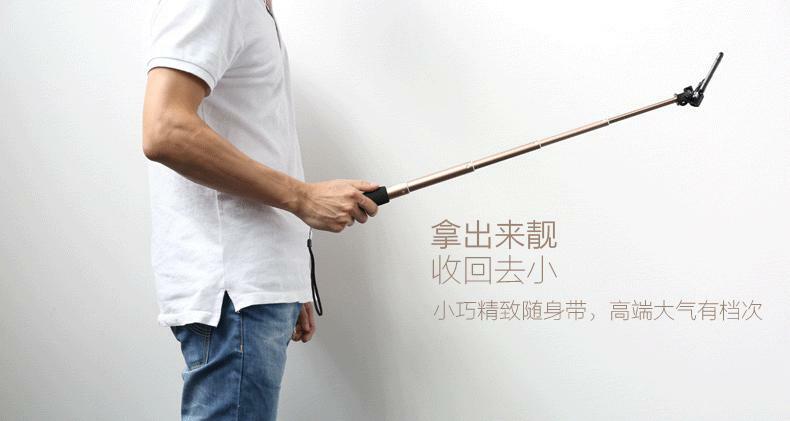 Original Remax P5 Wire Control Selfie Stick with titanium aluminum alloy material, Size 17.5cm-72cm, fordable rotating design with safety lock and high compatibility fine process stylish design.